The aim of this research is to provide an outline to address questions with regard to the transformation of planning in China that has occurred after the 1980s. The research is using “planning evolution” as the main research skeleton. The starting point is to investigate to what extent Chinese urban planning has developed after the opening up and other reforms under the state-led and market-driven modes of Chinese reformation, and to investigate how the different modes and various actors have influenced urban planning, based on the investigation of the respective political and economic changes within the initial reformation in general, and planning in particular. In recent years, China has undeniably undergone a dramatic process of urban growth and transformation. Apart from its speed and scope, it is less recognized that these processes are confronting the Chinese planning institutions with new and unexpected demands almost on a daily basis. In reference to the increasing importance of private investments and developments within the Chinese urbanization process, a new balance between public planning and private developments, and between top-down and bottom-up approaches is required to be able to generate both a reliable and responsible framework for long-term urban development and a flexible system of implementation that meets the needs of changing conditions and new demands. 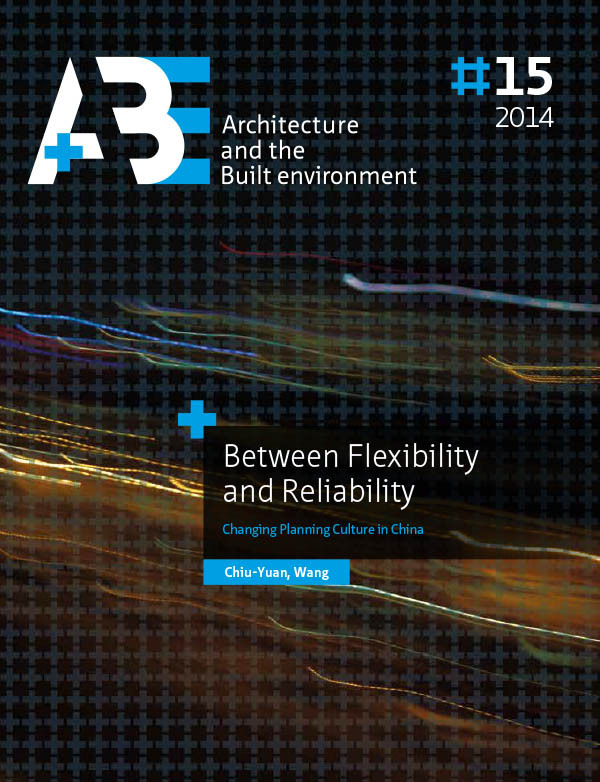 Flexibility and reliability become the new demands for planning practice. Based on the theory of planning culture, planning traditions, concepts, systems and decision-making processes are always related to the cultural context and cultural background of the people and societies involved. Investigating the contemporary urban transformation and urban development processes in China can allow us to outline the new planning culture of contemporary China in relation to its historical roots and traditional characteristics in a long term framework. I argue that the changing role of urban planning is strongly embedded in the political, economic, and social domains and is a part of cultural innovation. The research opens a general debate on the circumstances of the contemporary Chinese transformation after the 1980s. After introducing the idea of planning culture and elaborating to what extent the idea of planning culture is applied in this research, I argue that the “soft” characteristics of planning emphasized by the idea of planning culture are crucial to understand Chinese planning evolution. The idea of planning culture is applied to build up the theoretical framework needed in order to approach the research subject: the contemporary Chinese transformation, based on a systematic structure. Overall, this research states the following. 1). The reversal of Chinese policies in 1978 and the opening up of the country to foreign investments and technology were taking up the job that had been left unfinished in 1949. The momentum is regarded as a part of the long-term evolution of Chinese modernization, for which the term of “critical-modernity” is introduced, situating the changes within the broader context of the globalization. It cannot be disconnected from the roots of Chinese history and tradition and as such is an alternative to Western paradigms. 2). The dissection of the specific Chinese historical evolution results in a sequence of layered modes of hybrid development. 3) Situating the political-economic momentum of the 80s in a longer time span and exploring it beyond the political status of the time by making the contextual linkage to the cultural and traditional consensus of Chinese history, it is seen as a “cultural turn” of Chinese society. 4). This study applies the idea of “planning culture”—to compare different periods in one country and to analyze the changes that have taken place with regard to both the planning system and the cultural context; and to approach urban planning transitions from political, social, and economic aspects by investigating the conditions, approaches, and results of current spatial planning in China. According to the application of the idea of planning culture as a systematic framework, the research comprises three major research themes: the transformation of society, the transformation of the planning system and the implementation of planning in practice. The Transformation of the Society comprises two parts. The first reviews the philosophical roots of the Chinese norm and value system and the second part introduces the contextual background of the emerged evolution of Chinese modernization. The purpose is on the one hand to anchor the contemporary Chinese transformation within the Chinese context, and on the other hand to argue that the transformation of contemporary China in the 1980s is a new turn that is part of the evolution of modernization. The Transformation of the Planning System offers the specific information about the transformation that took place in the 1980s, in particular in relation to the reforms initiated by the central government. The focus is in on the re-modification of the urban planning system after 1978; special attention is given to the political structure, planning organization, and plan forms. It is the analysis of the top–down system. The Implementation of Planning System in Practice zooms further in on the micro-scale of planning evolution by analyzing the planning implementation in practice in one of the fastest growing cities of the country: Shenzhen, located in the Pearl River Delta, which can be regarded as an almost newly constructed city with approximately 300.000 inhabitants in 1980 and reaching 10.47 million in 2011. During a relatively short period of development the degree of acceleration and the scope of an entirely unexpected growth forced local planning authorities to constantly readapt to changing conditions and new demands. In this framework, different planning documents and the process of decision-making are analyzed, with special attention to the coordination and fine-tuning between planning intervention and planning implementation. These three clusters of research themes serve to answer a series of research questions respectively. The main research question is: How does urban planning in contemporary China face the challenges of the emergent urban evolution within the current world society? This research argues that planning strategies have to be developed, on the one hand under the circumstances of inevitably increasing uncertainties in China society generating the flexibility for new and unexpected developments, and on the other hand to confront the unpredictability and uncertainty of initiatives from diverse public and private actors by generating and building up a reliable framework for sustainable long-term developments. Planning embodiment (ideology, aim, system etc.) must be understood and used not only for political-economical interventions but, furthermore, as a spatial agent in order to mediate the changing confrontations of socio– spatial demands embedded in the cultural domain, instead of being used only as a top–down dominating intervention tool. China enters a critical era of modernity, a society in which to retrieve the socio-spatial meaning for people is a much more powerful force than only focusing on economic success and political stability. This reflection shall be based on the revival of Chinese traditions and values and the re-evaluation of those values in a systematical manner. However, in comparison with drawing a concrete conclusion, this study’s intention is to inspire reflection, to provoke further debate and to disclose and dissect the context of Chinese planning culture. It is by the same consideration that I found the idea of planning culture a useful and valuable framework to access urban development and planning evolution in non-Occidental countries. The “soft” core of planning culture has the same essential cultural value everywhere, and for countries like China who share the similar hybridity of evolutional history, the processes of industrialization, urbanization, decolonization, Westernization, post-industrialization and globalization are affecting the country not in a linear–subsequent manner, but on different layers simultaneously and sometimes with contradicting demands. Being embedded in this unique Chinese political–socio–economic environment, urban planning is used by the state as a powerful instrument providing a vision for the country’s future in the transitional process between the rules of both extreme modes of top-down and bottom-up approaches, balanced by involving the governmental and public sectors simultaneously. I am convinced that the idea of planning culture can trigger a new wave of discourse leading to a completely new insight in and understanding of cultural differences, not only in an abstract sense for Chinese culture but also in general for everybody whose live is strongly influenced by planning decisions and whose daily activities are interactively incorporated in the socio-spatial domain.